Want to turn off sound on an iPad and mute the audio? You can do that rather simply with a few different methods, though some may be easy to overlook. 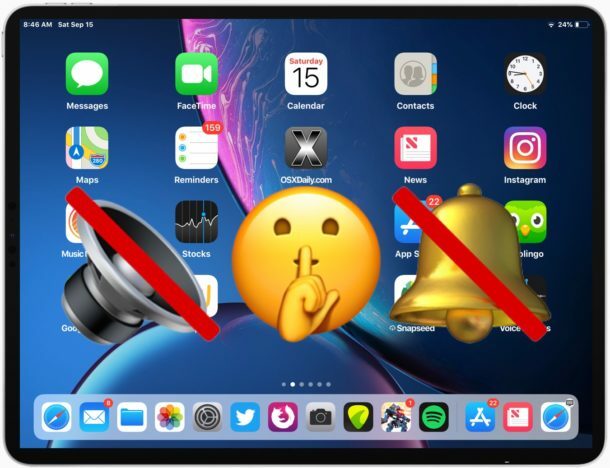 The iPad and iPad Pro have volume adjustment buttons which can serve as mute, and there’s also a designated software mute switch for alerts which when activated will silence the sound coming from the device. While older iPad models had a hardware mute switch, the latest iPad and iPad Pro models removed the physical button in lieu of the hardware volume buttons or onscreen silencing function that when toggled mutes all alert sound and audio output from the iPad speakers or any connected headphones. 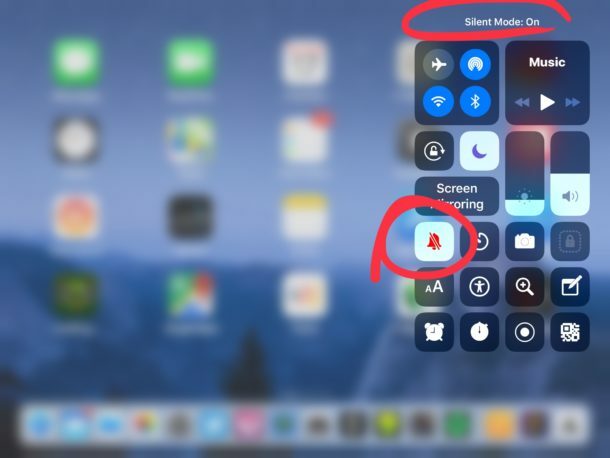 Using mute on iPad is simple, we will review both how to mute an iPad to turn off all sound, and how to unmute an iPad to re-enable sound and audio output on the device, as well as using Silent Mode. These tips apply to all newer iPad and iPad Pro models with a modern iOS release. 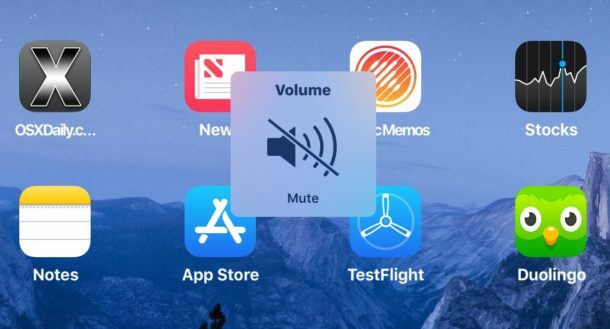 Another optional mute approach to silencing iPad is to use the volume adjustments in Settings, or the volume buttons button repeatedly until the sound is disabled. This approach to muting iPad and iPad Pro can be reversed by simply turning the volume back up again, either with the volume button or Sound Settings. This does not work as advertised, I tried it on my 10.5″ 2nd gen iPad Pro running iOS 12.1.1 and sound is not muted except for ring and alert sounds (just as the bell icon suggests). IT DOES NOT MUTE ANY OTHER AUDIO OUTPUT. To test this, I played some music from my library in the music app. I was able to hear the music through the built in speakers regardless of whether the mute button in control center was set to on or off. Correct, the bell icon places the iPad into Silent Mode which mutes alerts and notification sounds but not general audio of music or video. The Volume buttons or volume slider in Control Center is used to mute all system audio including music or video sound. An incomplete version of the article was published originally which may have been what you saw. Right, Paul. When I first read the article and wrote my comment (which was flagged for moderation, you need to fix that aggressive spam filter) it was an incomplete version, as it only described the functionality of silence button in control center but not the other approach using the button in control center. Thanks for updating to add that part. 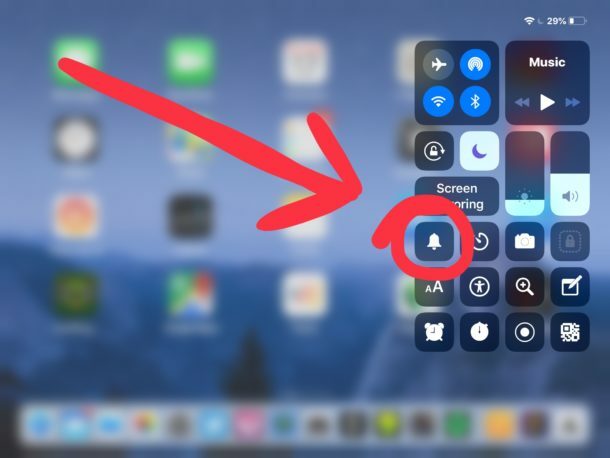 Clearly, it states that the button in control center would mute ALL sound coming from the iPad, not just the ringer and alerts as is actually the case. Yeah I knew that, thanks. It’s just that the original article was misleading in that it didn’t mention the volume buttons before and stated that the button in control center muted everything, so I though it was misleading and though it should point it out. The volume buttons do not mute system alerts. At least on my iPad pro you need to mute via volume buttons AND mute via the bell icon to do both. Bill is right, which is a weird user experience, but you can change that in Sound settings with a switch that lets the buttons change the alert volume too. Why did Apple make different audio volumes for alert and other sound output types? 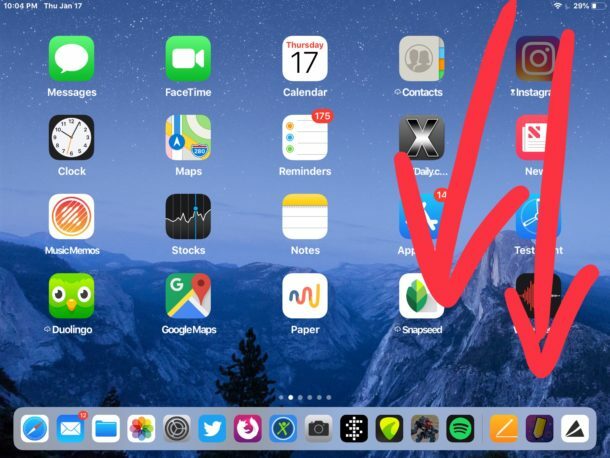 Probably for iPhone but why do that on iPad?